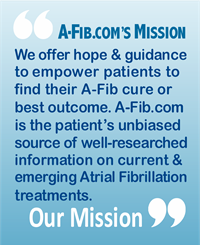 Due to the increased use of medical marijuana in California and other states, we should soon be getting more data on marijuana’s effects on Atrial Fibrillation. Several readers with A-Fib have emailed me to share their experiences and observations with marijuana. There seems to be a lot of interest every time I write about this topic. How about you? 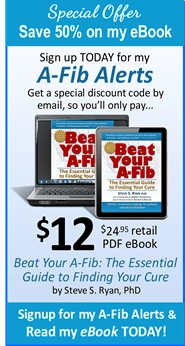 I’d love to get more first-hand feedback from A-Fib users. Please email me. 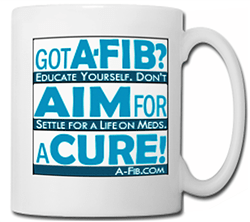 Jim, an A-Fib patient, has kindly shared his personal use of marijuana and how it helps him. He has tried various meds, cardioversion, and had a failed ablation. He owns his own business in California and is under a lot of stress. 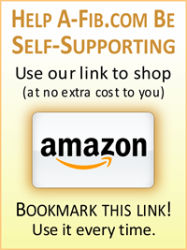 ♥ JIM: “Because of all of this, I was having trouble sleeping and was getting very stressed out. But instead of taking something pharmaceutical, I turned to medical marijuana. It changed my life. I come home at night, have some marijuana edibles, and the stress goes away. I sleep wonderfully at night, waking up fresh and ready for another day. You can join the discussion, too. 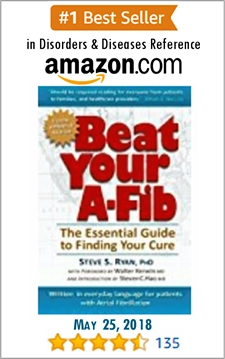 If you have used marijuana to help with your A-Fib symptoms, email me and share your experience. Scott added that he also stopped drinking which helped. He used to drink a six pack daily. PODCAST: Marijuana—Good, Bad or Ugly for Patients with A-Fib? 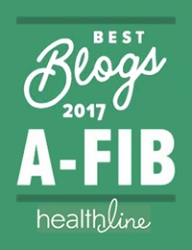 For my most recent report about A-Fib and Marijuana, listen to my Podcast with Travis Van Slooten, publisher of LivingWithAtrialFibrillation.com. (About 18 min. in length.) Includes transcript. Marijuana—Good, Bad or Ugly for Patients with A-Fib? Korantzopoulos, P. et al. Atrial Fibrillation and Marijuana Smoking. International Journal of Clinical Practice. 2008;62(2):308-313.